I got started on a new garage door project this week. 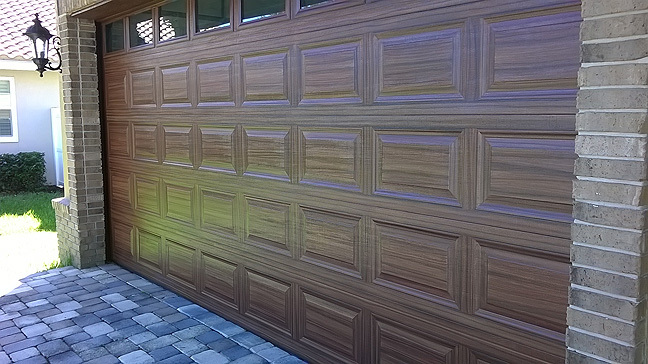 These doors are a different style of garage door than I usually paint to look like wood. They are the 'carriage' style of door. 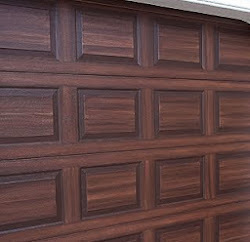 I am really looking forward to painting these garage doors because it's fun to do something a little different. 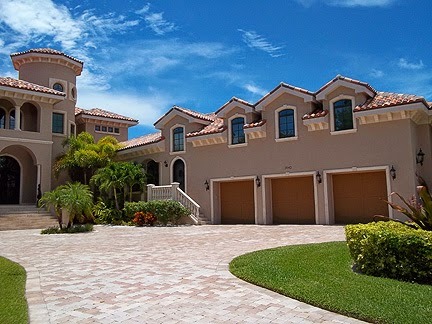 The first two photos show the beautiful home the doors belong to. Notice that blue sky. In these photos I have already cleaned, repaired, primed and base coated the doors. Another aspect of the doors that is different is that they are made from a composite material and not steel. So in the preparation step of the process I had to do a little repair. This next photo is taken with the door up and looking at the bottom of the door. You can see how the bottom planks have begun to seperate from the door. This was the worse of them and it's about a quarter of an inch out from where it should be. What I did was put two screws in each end of all the bottom planks. 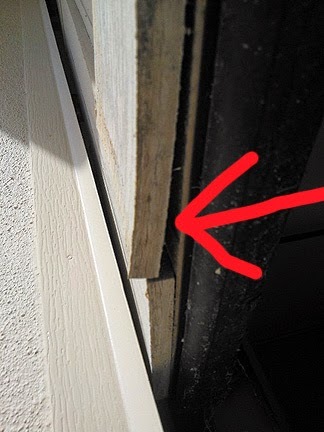 There are two planks per door. This tightened them back up and then I caulked all around the planks also. 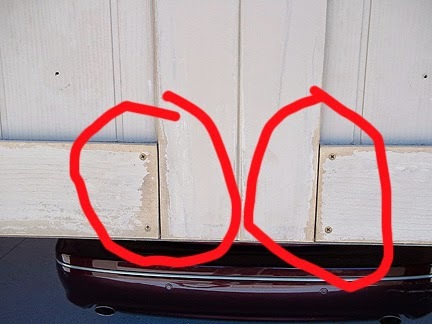 I had counter sunk the screws and after I filled the holes and primed and base coated you cannot tell there ever was a problem nor can you see any evidence of repair. That nice blue sky I pointed out in the first two photos means it was mighty hot today. 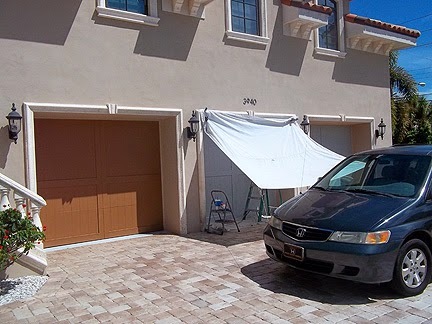 With such a big courtyard in front of the garage doors I did not have much to tie off my tarp too so I positioned my van and used that. I am not sure how tomorrow will go with a 70% chance of rain but I hope to get started on the wood graining process. Something else about these doors which is cool is that each door has 56 clavos on it. They are in the process of being cleaned and powder coated.